New TOG course gets off to a flying start! 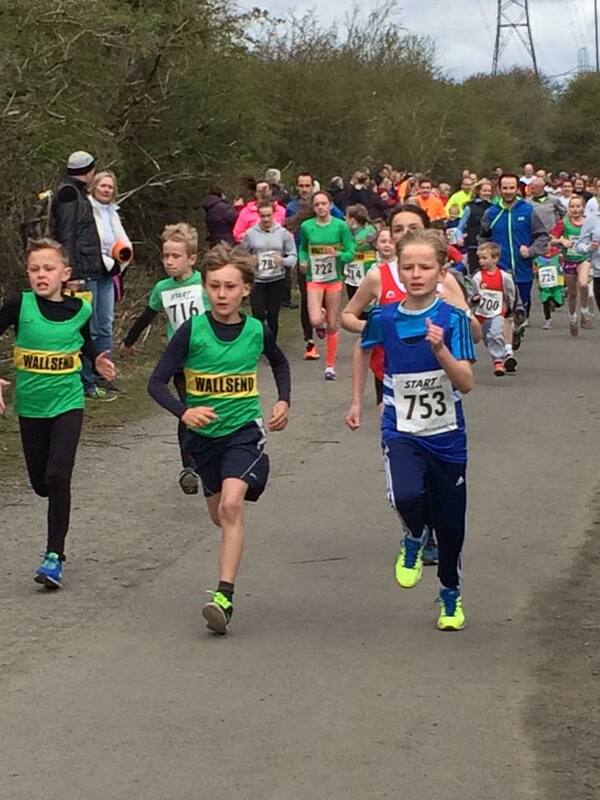 More than 200 athletes of all ages from all corners of the North East turned out in force at West Allotment Country Park to run their socks off in memory of one of the North East greats (well in our eyes the greatest) – Terry O’Gara. With a fast, new course to contend with and an unseasonable chill in the air the challenge was on for juniors and seniors alike. Terry’s son Steve got everyone off to a flying start with his inimitable, motivational pre-run speech. And what a great course it turned out to be, with PBs a plenty. Out of the country park wagon way and one lap round the Cobalt Business Park before finishing the last 1k back through the wagon way. The support was fantastic and the kids felt like Olympians as they were cheered onto the finish to be immediately presented with a shiny green and gold medal. Congratulations to Cameron Boyek from Shildon who was first man past the post in an awesome 14.48 and first female Justina Heslop from Elswick who ran a fantastic 16.40. Our very own ‘mountain goat’ Harry Coates secured a PB of 15.46 with his bride to be Becki Newman first Wallsend lady in 20.46. Full senior results are now available here and juniors here. There are loads of great photos on Facebook but we will get them onto the website gallery asap. So many thank-yous to all those who worked hard to make sure the event was a success, particularly the Wallsend Harriers Committee, Bill Todd, marshals and officials dishing out race numbers in the Spud and Lettuce. Thanks to our sponsors Shiremoor Dental Practice, Spud & Lettuce, Cafebar One, Sambuca Tyne Tunnel, GHFM, Whittleprint and Shukran. And a big thank-you to Steve and Donna and all of Terry’s family. He is still such a huge miss. It’s hard to believe it’s already four years but his spirit and mantras live on week after week as the green and golds head out in their packs, in all weathers and all terrains. At this time every year I just know he’s looking down on us as we give it our all to make him proud. Well it’s always an honour to pull on the green and gold vest of Wallsend Harriers and even more of an honour to have known Terry O’Gara, Wallsend Harriers club chairman who, sadly passed away in 2012. Terry was an inspiration to me from the moment I joined the club in 2009, always encouraging me and inspiring me in my running. I ran his race, the Terry O’Gara Memorial 5k, in a time of 22mins and 38secs I was hoping for sub 23mins so I was pleased with my efforts. All in all it was a fantastic and well supported race on all fronts and makes me proud to be a member of Wallsend Harriers.